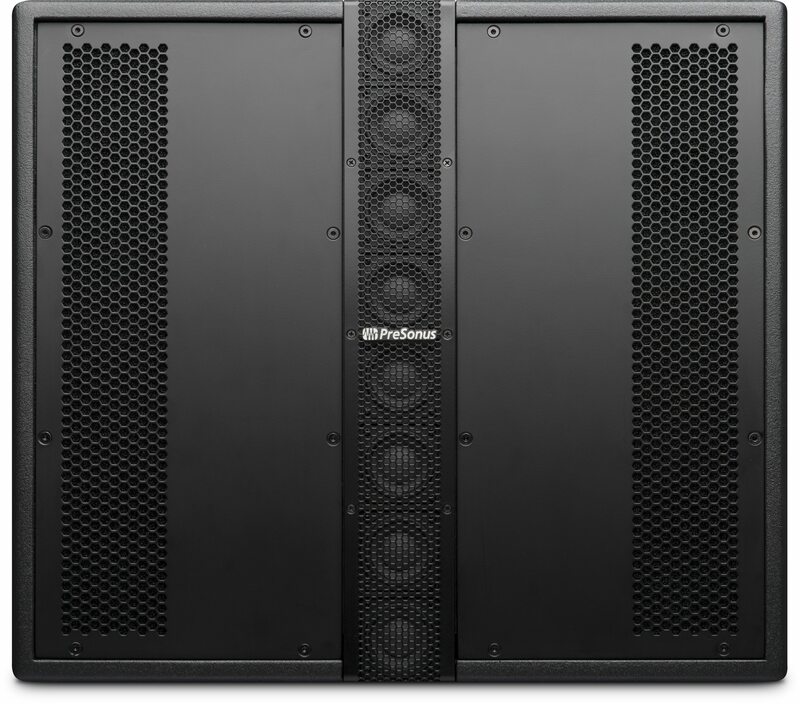 The PreSonus® CDL12 is the result of years of research and development, combining the best attributes of point source and line array technology into a unique patent-pending design. Based on the Constant-Directivity Two-Way Loudspeaker System design presented at the 143rd AES Convention in New York by Hugh Sarvis and Don Keele, the CDL12 radiates a highly focused pattern with consistent SPL throughout the frequency response range, both on- and off-axis. The result is clear, articulate speech intelligibility and natural music reproduction. 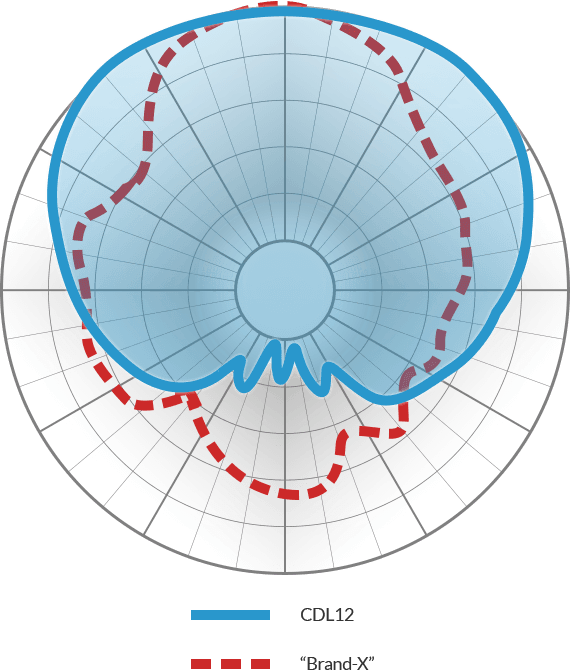 Each CDL12 consists of eight 2-inch drivers aligned in a segmented circular-arc high-frequency array centered in front of a 12-inch woofer. The output of the low-frequency driver travels from the same acoustic axis as the high-frequency array so that the pattern always radiates from the center of the CDL12. 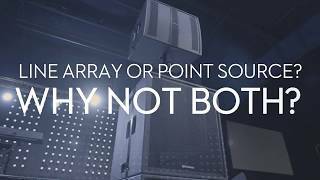 This is true whether the CDL12 is used individually on a tripod speaker stand or as part of an acoustically coupled vertical array with up to six enclosures. 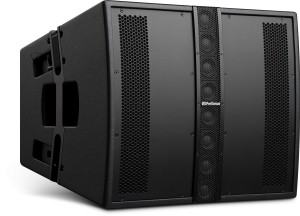 Because of this, the CDL12 avoids the near-field anomalies that can interfere with the sound quality of a traditional line array. 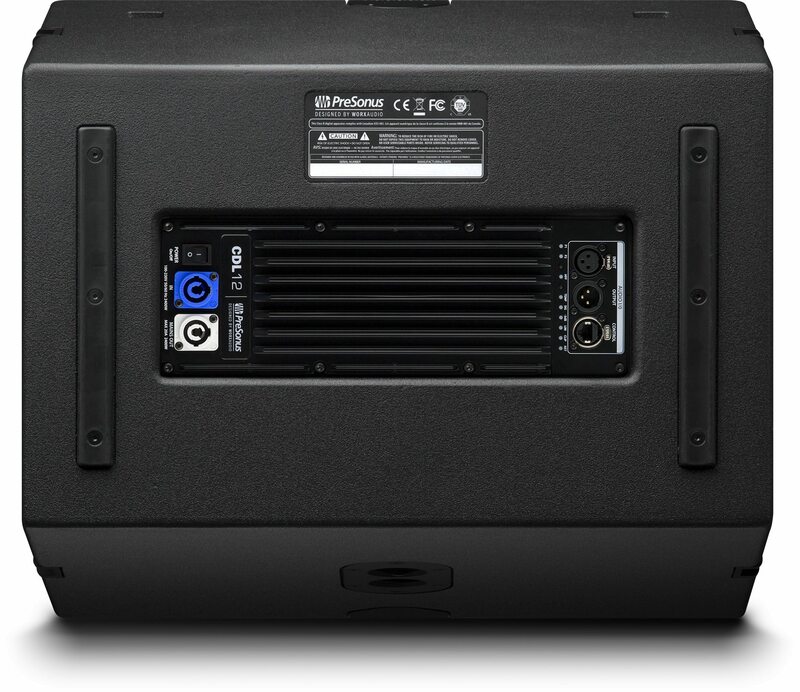 This makes the CDL12 ideally suited for a broader range of venue sizes, creating a far-field response almost immediately as the sound is projected from the center of the enclosure. 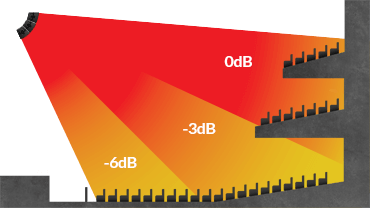 Learn more about the CDL12’s high-frequency driver array. The fast transient response of the 2-inch cones is uniquely matched for high- and mid-range frequency reproduction. This is further enhanced by setting the internal crossover point of the high-frequency array to 420 Hz, so that the CDL12 is reproduces audio seamlessly without any gaps in the frequency response curve at the heart of the musical range. 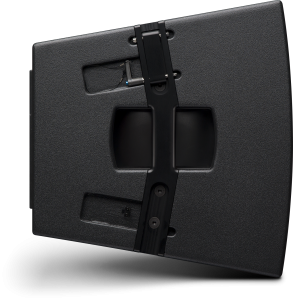 This low crossover point also minimizes comb filtering between the 12-inch bass drivers in an array, providing a very smooth frequency response in the low-mid. Each 2-inch speaker in the high-frequency driver array has a 1-inch voice coil and the entire array is driven by a 500W Class D amplifier. Because the power is shared across eight independent voice coils, power compression is reduced, resulting in a more efficient design and a flatter phase response. This delivers a less fatiguing listening experience and a more refined, balanced sound. 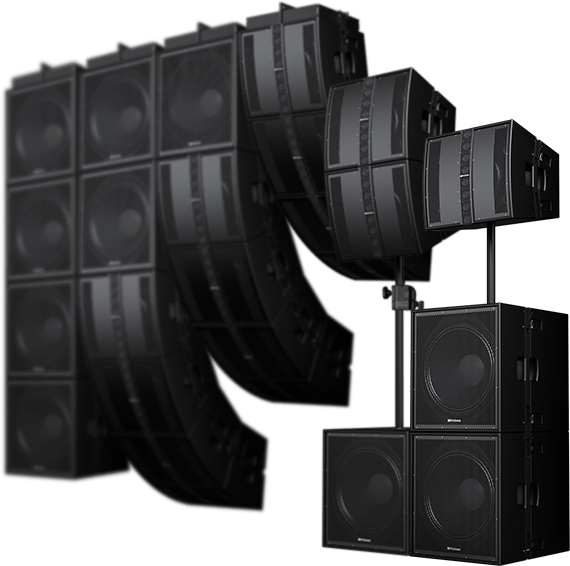 Traditional line array loudspeakers typically place a high-frequency horn on one side of the enclosure and a woofer on the other. To obtain a symmetrical image with those loudspeakers, you'd have to flip one over—something they aren't designed to do in the first place—and you'd still have phase issues. With the CDL12, the eight 2-inch high-frequency drivers arc over a single 12-inch woofer, comparable to the coaxial driver configuration found on top studio monitors. The result is better sonic coherence across the entire venue, with no anomalies to compensate for via time-consuming room correction. Regardless of how many CDL12s you stack, you're working with a shared acoustic axis—and non-turbulent sound propagating throughout the room. 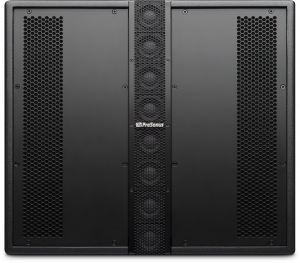 The CDL12’s hybrid point source/line array design delivers focused sound with consistent SPL coverage both on- or off-axis, making it an excellent choice for mobile and installed applications. 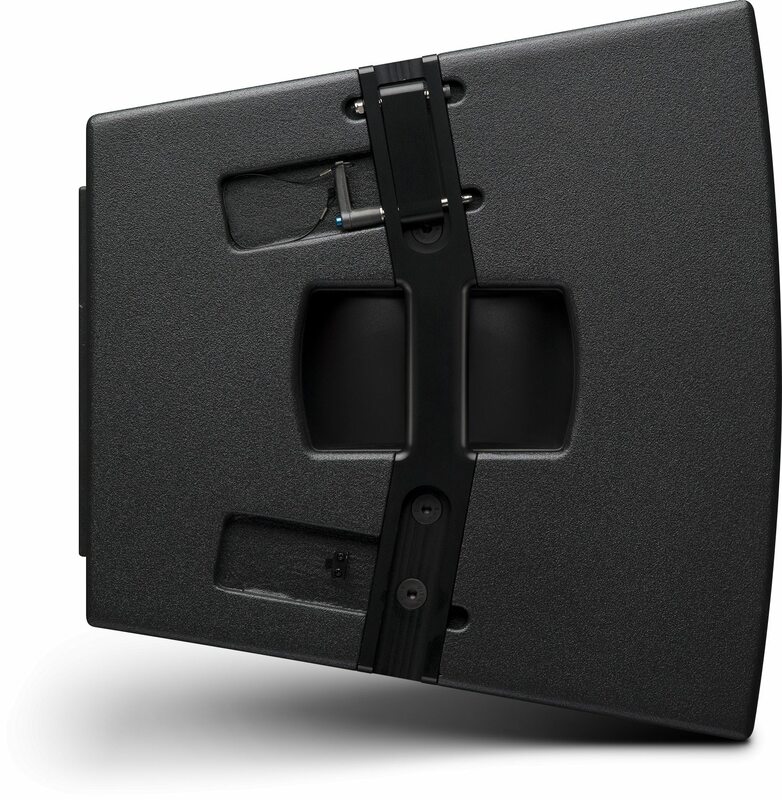 Rigging CDL12 enclosures is made easier, thanks to integrated pin-loaded rigging hardware. A dual-angle pole mount is provided, supporting the use of one or two enclosures when pole mounted on a tripod stand, or atop the companion CDL18s subwoofer, allowing the system to adapt to varying audience sizes. 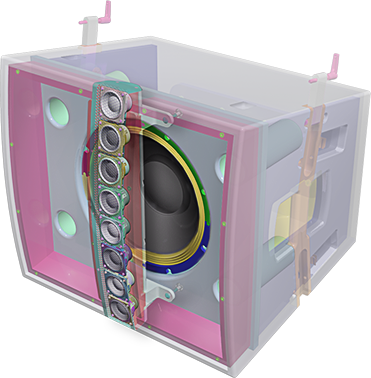 When vertically arrayed for suspended applications, up to five CDL12 enclosures can be flown beneath one or two CDL18s subwoofers. 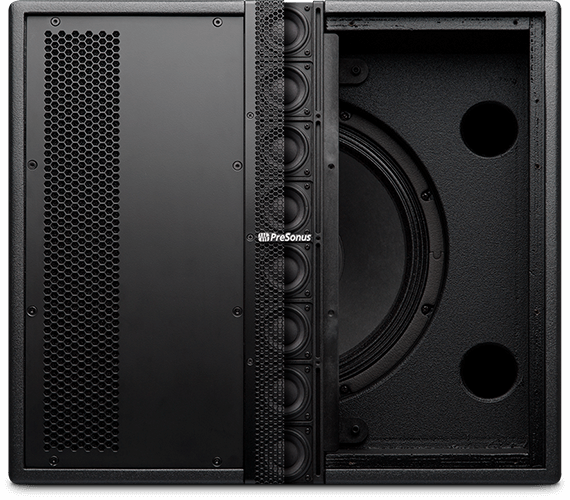 When flown without a subwoofer, six CDL12 loudspeakers can be arrayed to create a truly symmetric 120˚ x 120˚ design. 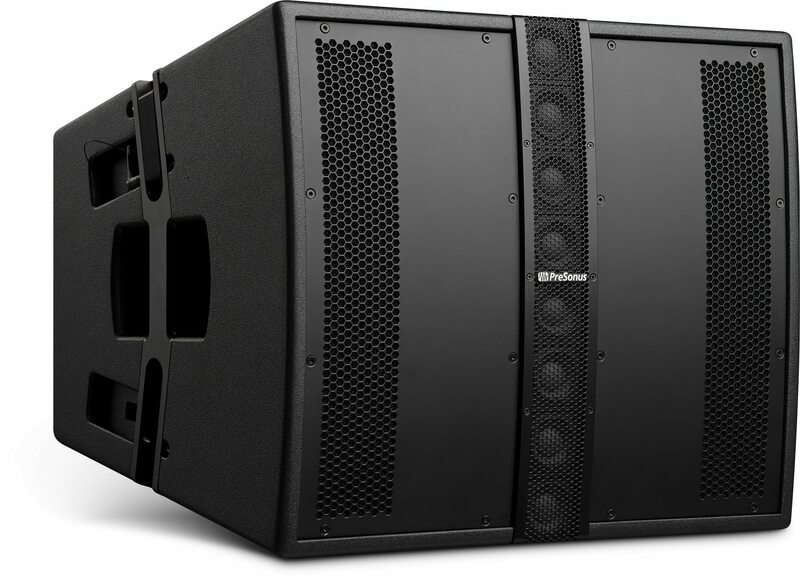 Learn more about suspending CDL12 loudspeakers. The CDL12 and all associated rigging hardware are rated for a 10:1 load, making it a safe solution for flown installations. The CDL Rigging Grid is required for any flown installation and has been designed to quickly mount to the CDL12 using the integrated rigging hardware. The CDL Rigging Extension Bar is an optional accessory for the CDL Rigging Grid that provides upward or downward tilt control for any suspended installation that requires it. The CDL Rigging Sling is required on all installations that include 4 or more CDL-series loudspeakers in a vertical array. Additionally, in installations using the CDL Rigging Extension Bar deployed with an upward or downward tilt of 12˚ or greater, the CDL Rigging Sling must be utilized. 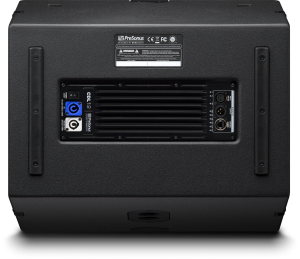 The CDL12’s integrated PDA-1000 500W x 500W Class D power amplifier features onboard DSP presets to facilitate and simplify arrayed configurations. For more advanced applications, each CDL12 can be connected to a standard LAN network and remotely controlled using Worx Control software for macOS® and Windows®. When combined with the CDL12, Worx Control provides speaker-management tools that include compression, limiting, and 800 ms of delay. An 8-band EQ with individually selectable filters (High Pass, Low Pass, High Shelf, Low Shelf, Notch, All Pass, Band Pass) is also provided to compensate for room anomalies. Speakers can be grouped and managed individually or together. 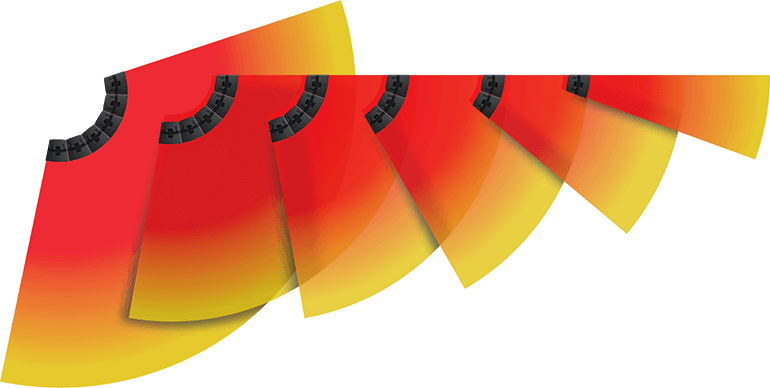 Performance monitoring indicators allow you to monitor temperature and signal levels remotely. The locking Ethernet connection on the CDL12’s integrated PDA-1000 power amplifier also provides audio networking capability via Dante. 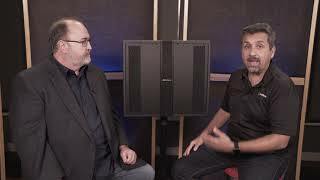 Dante’s multi-channel digital media networking technology delivers near-zero latency and synchronization and has been adopted by many pro-audio manufacturers, facilitating the CDL12 loudspeaker’s interoperability with a wide range of equipment. The patent-pending Constant Directivity design of the PreSonus CDL12 delivers exceptional performance and versatile configuration options in a visually stunning, compact form factor. Superior phase coherence and controlled dispersion result in an articulate, natural listening experience, making the CDL12 an outstanding choice for both portable PA and installed sound applications. 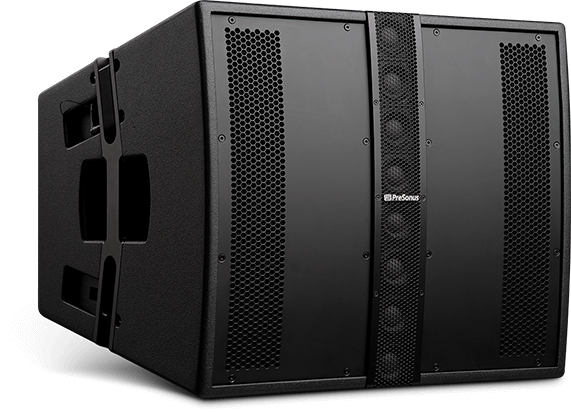 The result of years of research and development, the CDL12 combines the directivity of a point-source design with the scalable coverage of a line array to create a unique loudspeaker that provides the flexibility demanded by modern sound reproduction applications. Hear it now at your authorized PreSonus dealer. Quality runs deep in our corporate culture and we strive to build feature rich, the best sounding, and most reliable products available anywhere. 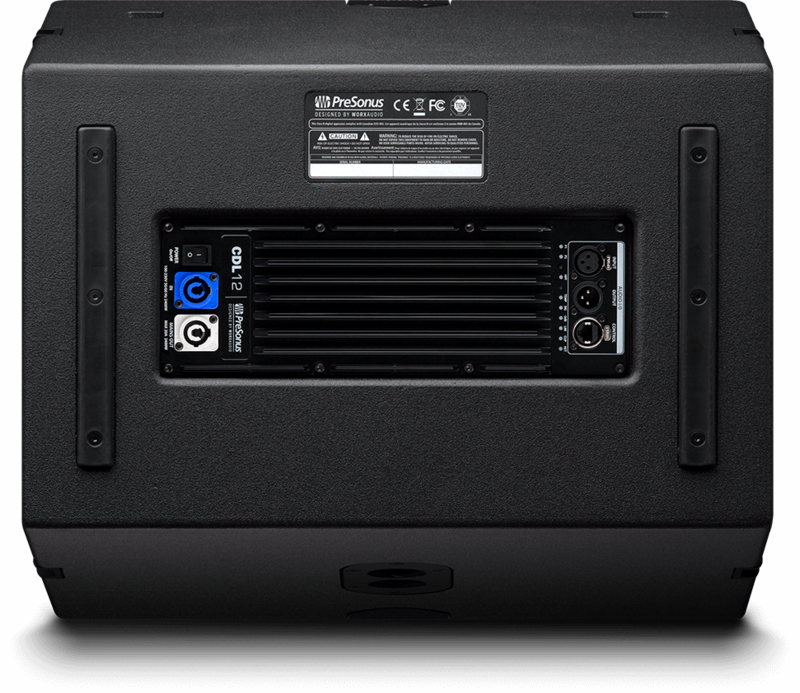 We’re confident you’ll love the PreSonus CDL12. 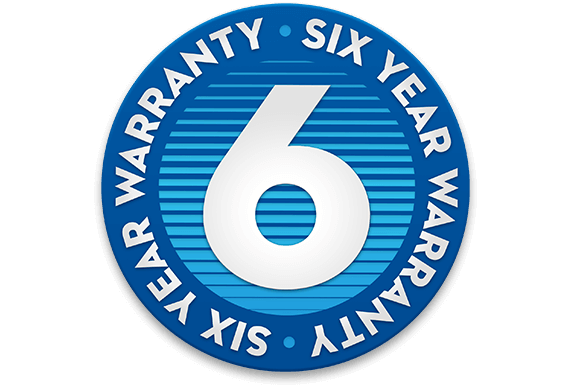 By choosing PreSonus, you’re assured of robust, trouble-free performance—for six years. In the unlikely event you do experience an issue, you can count on us to make it right. This is our commitment to you.